The EXPLORR series was built on years of prior experience and R&D with tubeless designs. Relatively unknown, Griffin started pushing the limits on modern suppressor engineering when in 2010, they designed the first tubeless silencers in the US. Tubeless designs although relatively featureless, provide the most optimal strength to weight ratio of any construction method. With a solid background in tubeless suppressor engineering, Griffin sought to push the limits of what was capable by creating the EXPLORR series of suppressors that hit titanium weights with a more durable material. Lower weight means smaller point of impact shift, higher unsupported position accuracy potential, and less fatigue to the user when carrying equipment. No barrel restrictions! 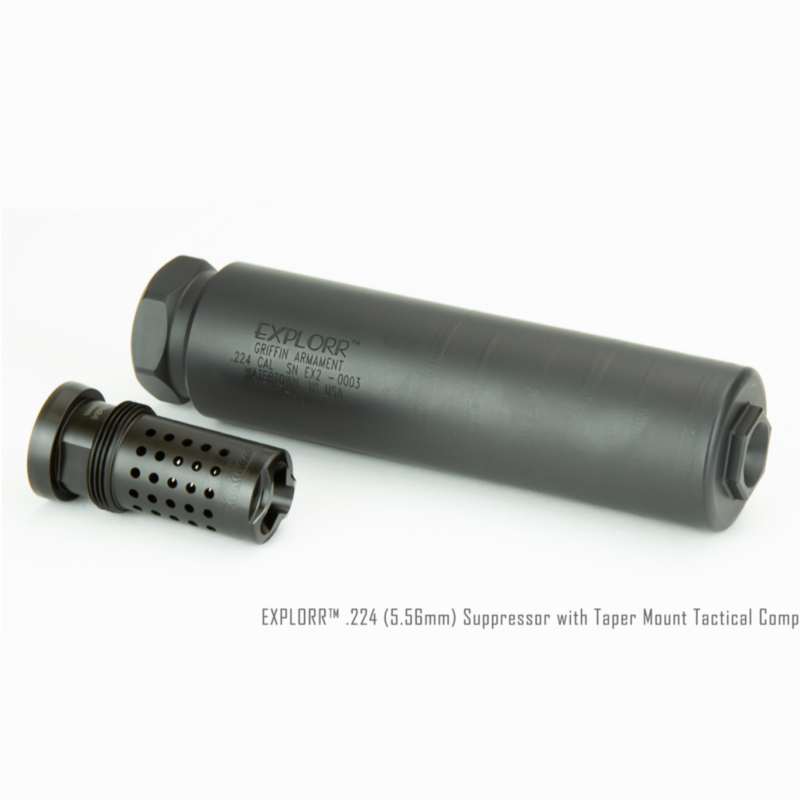 While longer barrels promote longer service life, this suppressor has no length restrictions. Don't have these in stock? Check out Silencershop and have it transferred here! If you order from Silencershop and have us do the transfer you avoid a transfer fee on the suppressor.